Holy Martyrs of England & Wales Catholic Church is a Roman Catholic community of the Personal Ordinariate of the Chair of St. Peter serving Southwest Riverside County, California. The Mass is offered according to Divine Worship: The Missal, the Ordinariate Form of the Roman Rite. As a community of the Ordinariate, we participate locally in the larger mission of the Universal Church in the salvation of souls. Our unique contribution to this goal is through our Anglican patrimony, the liturgical, musical, intellectual, and cultural expression of the Catholic faith expressed through the English Catholic tradition. We are particularly missionary-minded and exist to unite non-Catholics with Holy Mother Church, and to help Catholics continue together with us in our own continual conversions. 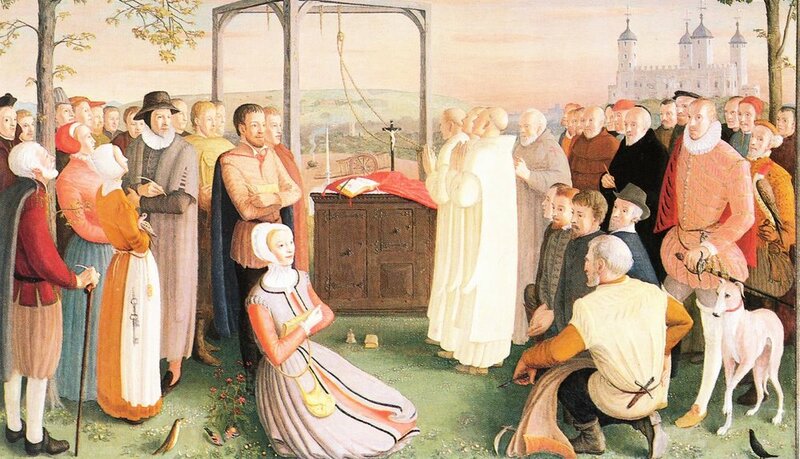 The painting by Daphne Pollen (1904-86) commissioned for the 1970 canonization of the forty martyrs of England and Wales. 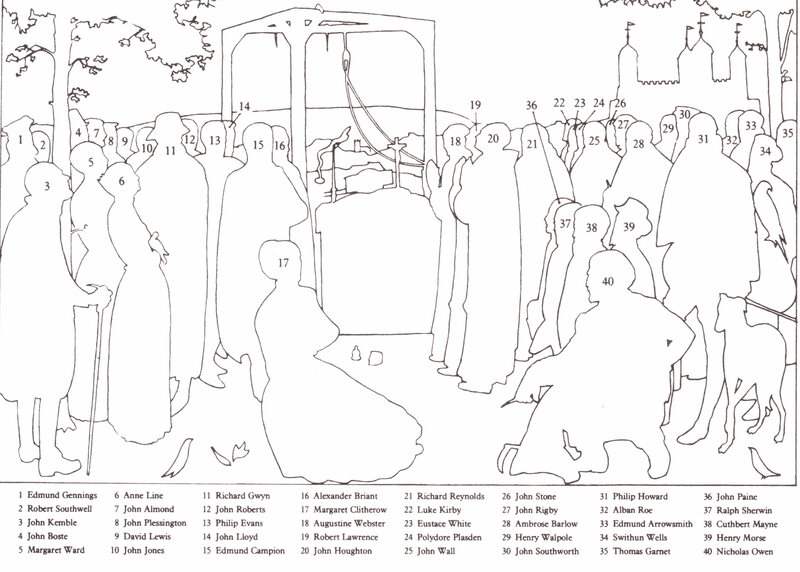 Who were the holy martyrs of England and Wales for which our parish is named?